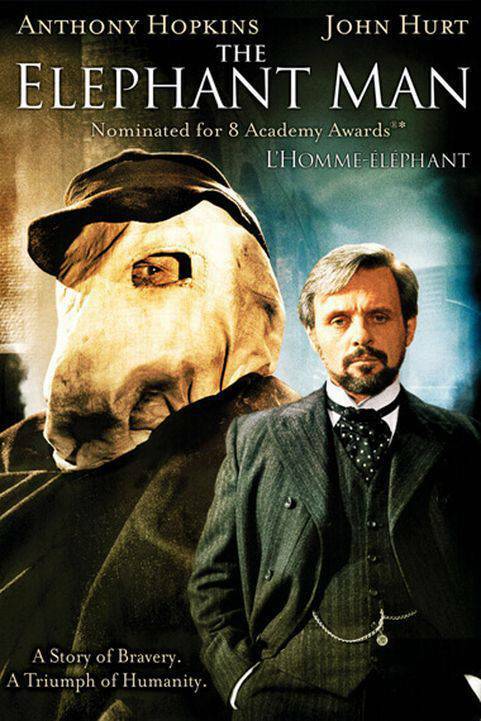 A Victorian surgeon rescues a heavily disfigured man who is mistreated while scraping a living as a side-show freak. Behind his monstrous facade, there is revealed a person of intelligence and sensitivity . John Merrick (whose real name was Joseph, as this is based on a true story) is an intelligent and friendly man, but he is hated by his Victorian-era English society because he is severely deformed. Once he is discovered by a doctor, however, he is saved from his life in a freak show and he is treated like the human being that he really is .